March 1, 2011 - Cirrus Industries, Inc. (Cirrus), a recognized leader in general aviation, and China Aviation Industry General Aircraft Co., (CAIGA) on Monday announced that they have entered into a definitive merger agreement pursuant to which CAIGA would acquire Cirrus. 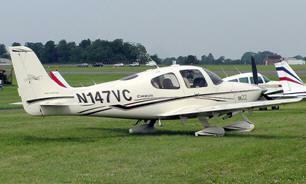 Cirrus has delivered nearly 5,000 new piston airplanes over the last decade. For nine years in a row, the Cirrus SR22 family of aircraft has been one of the best selling four place airplane in the world. Cirrus pioneered the use of the FAA-certified Cirrus Airframe Parachute SystemTM that is standard equipment on all Cirrus aircraft. ?This transaction will have a positive impact on our business and our customers because we share a common vision with CAIGA to grow our general aviation enterprise worldwide. CAIGA brings new resources that will allow us to expedite our aircraft development programs and accelerate our global expansion,? said Brent Wouters, Cirrus?s President and Chief Executive Officer. Wouters further noted the positive impact on jobs and job growth stating that ?CAIGA understands the strength and the talent of Cirrus?s workforce and the prominence of the Cirrus brand in general aviation. Through this transaction, CAIGA will invest in our employees in both Minnesota and North Dakota by committing to the continued use of our world-class production facilities.? CAIGA is a manufacturer of general aircraft products and related services headquartered in Zhuhai in the Guangdong Province of China. Meng Xiangkai, CAIGA?s President, stated, ?CAIGA is dedicated to being an international leader in the provision of general aviation products and services, and light piston aircraft is one of CAIGA?s business focuses. ?We are very optimistic to begin our partnership with Cirrus and add Cirrus?s strong brand as the cornerstone in our aviation product portfolio. We are deeply impressed with Cirrus's performance in the global general aviation industry, especially with its consistent product performance, comprehensive safety features, outstanding management team, highly skilled employee base and advanced production facilities as well as its expanding global footprint. ?We look forward to working with Cirrus?s management team to build upon Cirrus?s proven success and to further expand production volume in order to cement Cirrus?s existing leadership position in the global general aviation industry, as well as to produce greater job opportunities in Duluth and Grand Forks.? Commenting on the transaction with CAIGA, Cirrus?s Chairman and Co-Founder Dale Klapmeier expressed the same optimism about the future noting that ?On behalf of everyone at Cirrus, we are thrilled to make this announcement. With this transaction, Cirrus will continue to develop and build the best, most exciting aircraft in the world. The original dream remains alive and well at Cirrus. We are just embarking on our next chapter on a global stage.? The transaction is expected to close around mid-2011. The acquisition of Cirrus by CAIGA is subject to customary closing conditions, including clearance under the Hart-Scott-Rodino Antitrust Improvements Act and by the U.S. Government?s Committee on Foreign Investment in the United States (CFIUS), as well as obtaining all relevant Chinese Government Approvals.